What exactly is crowdsourced placemaking? Crowdsourcing – “the act of taking a job traditionally performed by a designated agent (usually an employee) and outsourcing it to an undefined, generally large group of people in the form of an open call.” Alternatively, “the application of open source principles to fields outside of software,” as defined by the official crowdsourcing blog and book, Crowdsourcing: Why the Power of the Crowd is Driving the Future of Business by Jeff Howe. Also, check out Crowdsourcing 101. 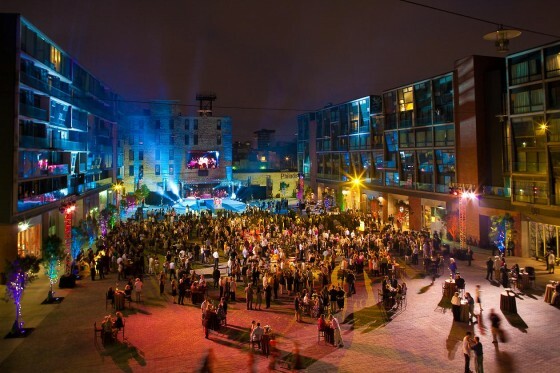 Crowdsourced placemaking – the act of taking development traditionally performed by real estate institutions and sourcing it to a large, undefined community with shared values in the form of an open call, to transform the places we find ourselves into the places where we live, as ‘places of the soul’ that uplift and help us connect to each other. Check out the video below for a great recent example of crowdsourced placemaking in Oak Cliff, a neighborhood in Dallas, Texas.